I'm determined to do a holo gradient for every colour range that I can. Still my favourite by far was the purple one, but I have enjoyed wearing each of them. Today's is an red themed one, which despite not looking very holoy, is made with three different holo polishes, all from different brands. The base colour was GR8 from China Glaze. 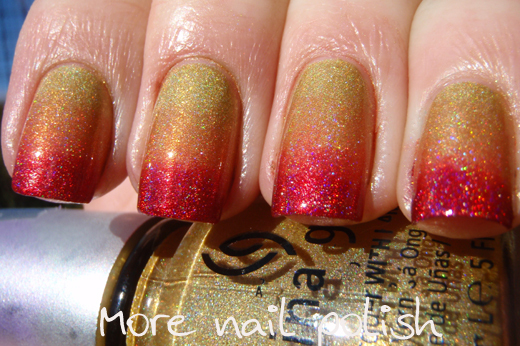 It is probably the least holographic of all the China Glaze OMG polishes. The middle shade is the very unique HITS Deméter, which also has a more muted holo effect. 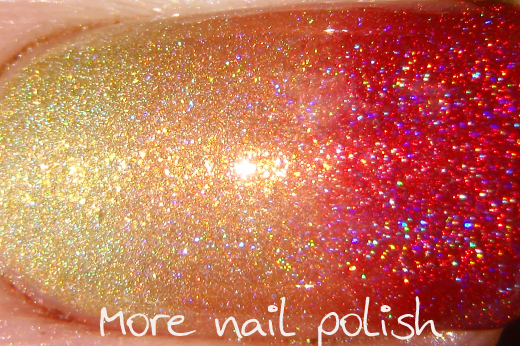 Finally, the tip colour is Ozotic 518, the ultimate red holo. I really did have popsicle fingers, both in appearance and touch! Have a great evening and thanks for reading and commenting everyone! Icy Goodness - I love the Popsicle fingers :) . Yayyy! Red holo! Love it! wow wow wow! amazing and so pretty! 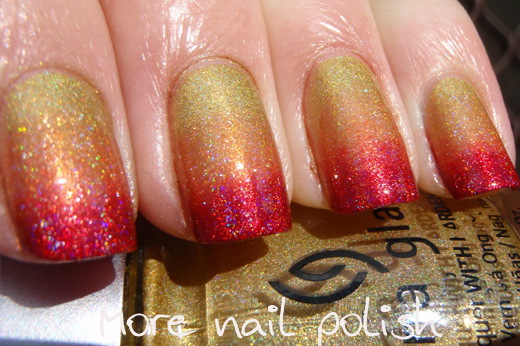 Omg the orange and red holo!! I want those polishes! I love this gradient combo. Beautiful! 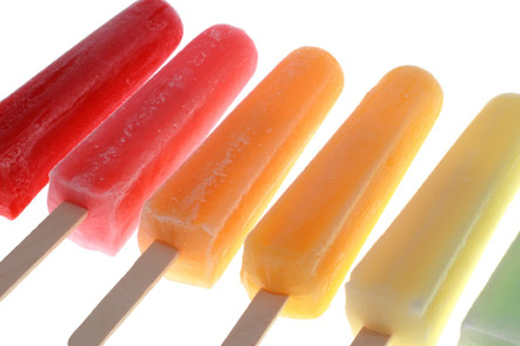 The popsicles looks refreshing. I could go for one right now. Keep em coming - absolutely loving them! Love this and all the others! I got my transfer paper in the mail today...finally. I'm so excited! I love how it gets more holo towards the tips! This is just so pretty. Your posts are always so nice. 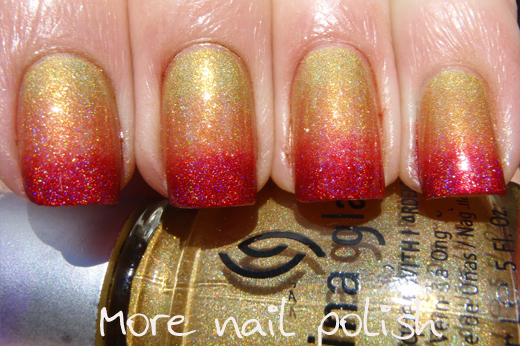 Another beautiful gradient mani :) Now I'm craving popsicles but it's too cold to have them!